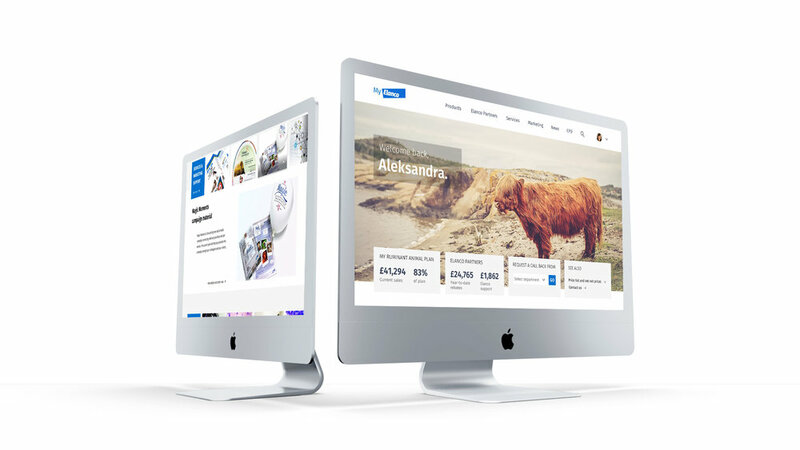 I helped Elanco get closer to their customers by designing a portal which allows users to access all of their account and supporting information in a single location. Joining an ongoing project at experience design agency Foolproof, I was asked to re-design Elanco's client portal through which small and large businesses acquire products, marketing material, and complete professional training. With a large set of content to be dealt with, I designed a modular toolbox of interaction models to choose from depending on type, update rate and amount of content. Selected configurations were guerilla tested with a live audience during industry events, which provided input for further selection and refinement. The chosen design succeeded in improving access to relevant information for all target audiences and improving brand perception. The new design is now gradually being implemented for all audiences at https://www.myelanco.co.uk/login. For more information about the client and the project's setup, please visit the agency's website.